Dr Shrader has written the booklets and books listed below. 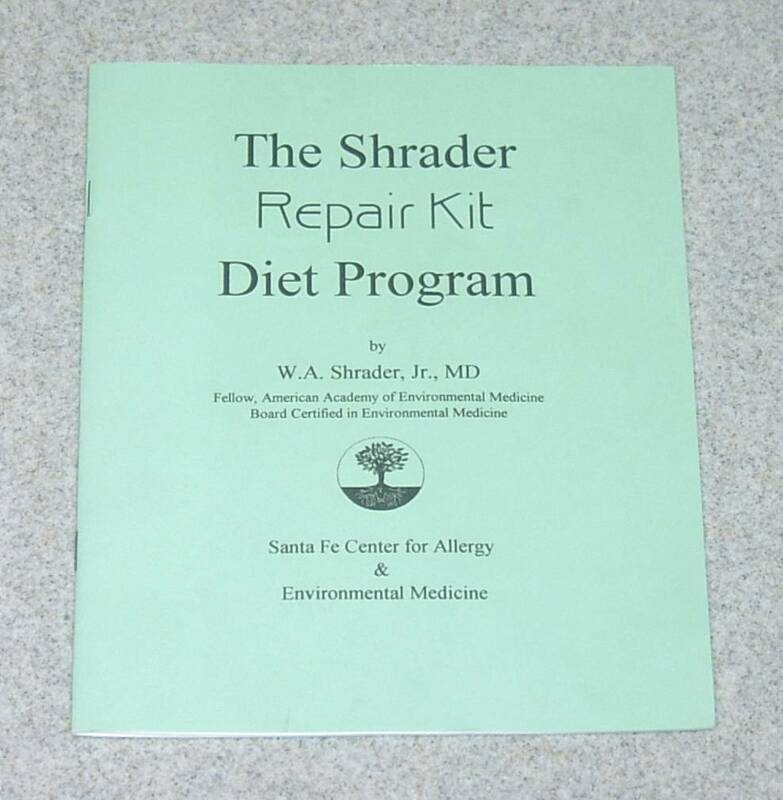 Dr. Shrader's Diet - the "Green Book" Here is the diet that is guaranteed to make you feel dramatically better, lose weight (while you eat large quantities of food) and control your allergies. 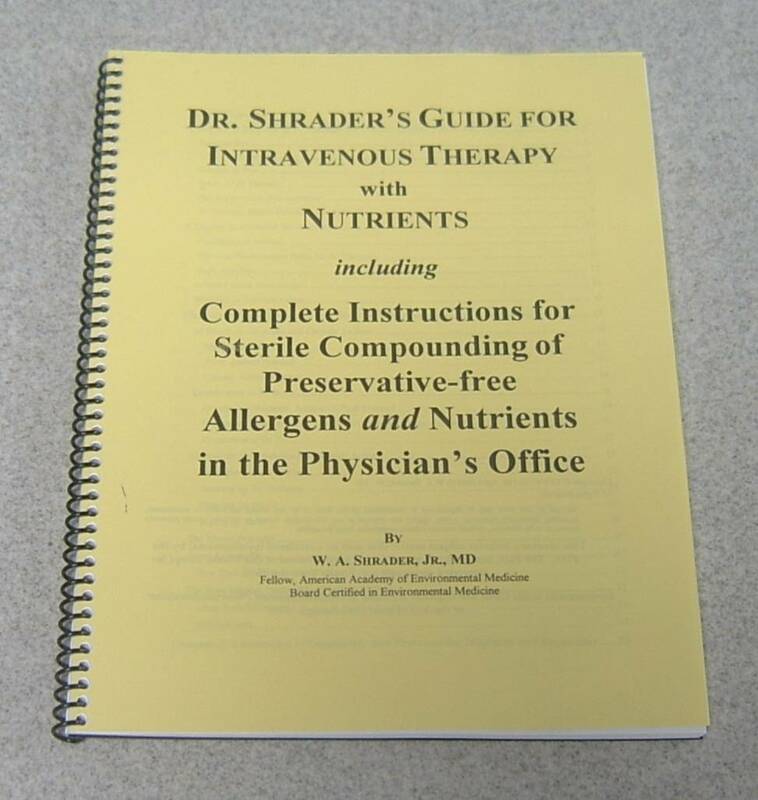 It is not meant as a permanent solution, and ideally followed with LDA or another tretment for your food sensitivities..
Dr. Shrader's Guide to IV Therapy with Nutrients - The complete guide for the physician detailing the administration of IV therapy with nutrients in the office. Complete with all protocols I have developed and use today. Included are complete instructions to compound nutrients and preservative-free allergens in your office. This book is now available from AAEM and ACAM. LDA Procedure Manual for Dr. Shrader's Office - This is the complete guide my staff uses in my office for the administration of LDA therapy. It is the definitive treatise on LDA and contains complete technical information. Available only from De the AAEM. Physicians only. She will mail this manual only to physicians' offices. If you'd like to order the Green Book above, it is $10.00, including shipping. Please call us at 505-983-8890.